Long-wearing, glamorous colour with smudge-fixing technology! 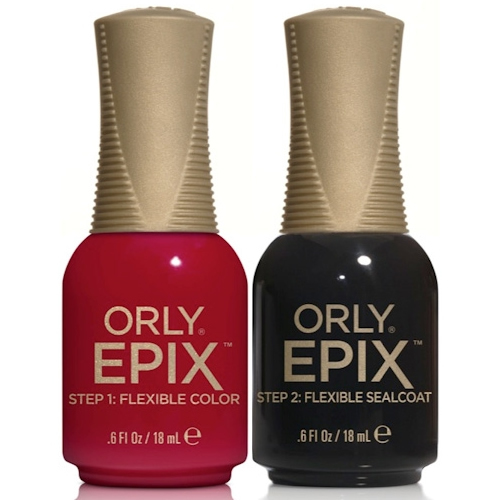 Orly EPIX Flexible Color Nail Polish boasts smudge-fixing technology and a film-themed choice of vibrant, exciting colours. 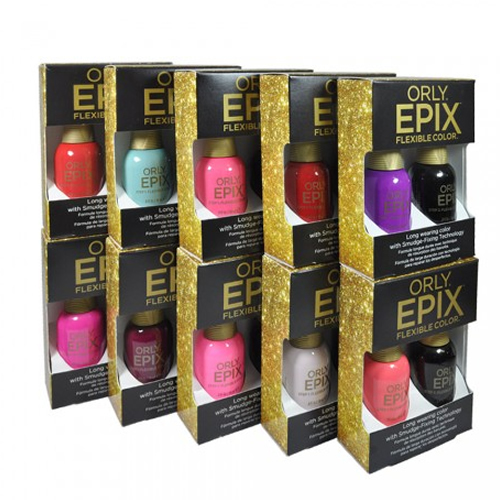 It's a simple, quick and highly effective nail polish that forms Step One towards outstanding and glamorous nails. This great value Duo Kit also includes Step Two—the Flexible Sealcoat which delivers a high shine finish and dries in under 8 minutes. The smudge-fixing technology in the formula means that smudges will self-repair while the nails are drying and even after that lets the Flexible Color remain elastic enough to flex with the nail, so smudges and chips really are a thing of the past. When applied correctly, a single application lasts up to 1 week without any chipping. Application is easy, simply apply a coat of Flexible Color to a buffed, cleaned nail and then a second coat for full coverage. Finish with an application of the Sealcoat which you can continue to apply every 3 days to extend the wear of the colour. 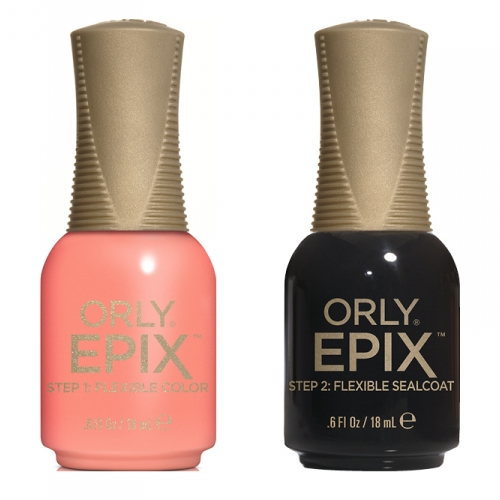 Each bottle in the Orly EPIX range is 18 ml and features a gripper cap and brush design which aids even coverage and accurate application.